Triple sensation recipes always give the ultimate taste and extra punch. 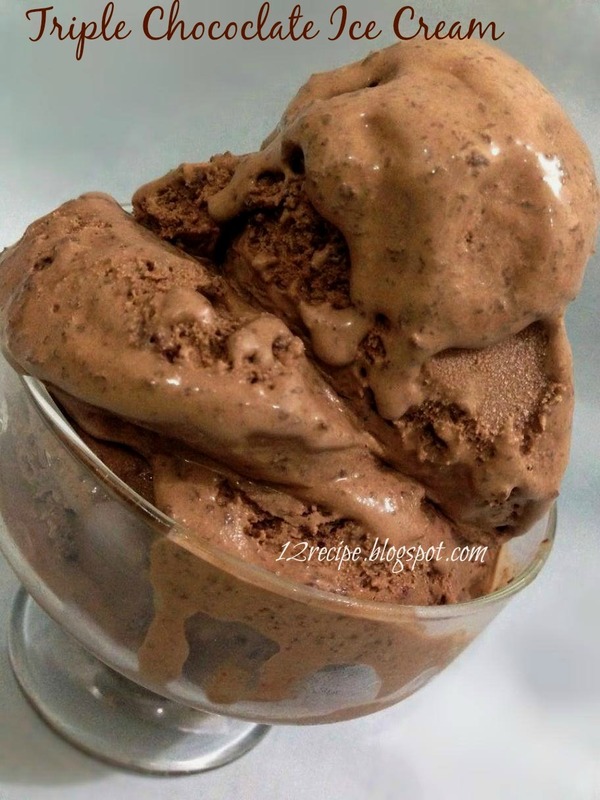 Triple chocolate ice cream is such an absolutely delicious scoop. Here is the recipe for a decadent and easy homemade triple chocolate ice cream without an ice cream maker. Just give a crush to the chocolate chips and keep aside. In a bowl; stir together condensed milk, cocoa powder, crushed chocolate chips and vanilla. Double boil the baking chocolate and add it in to above bowl. Pour in to a quart container and freeze for overnight. 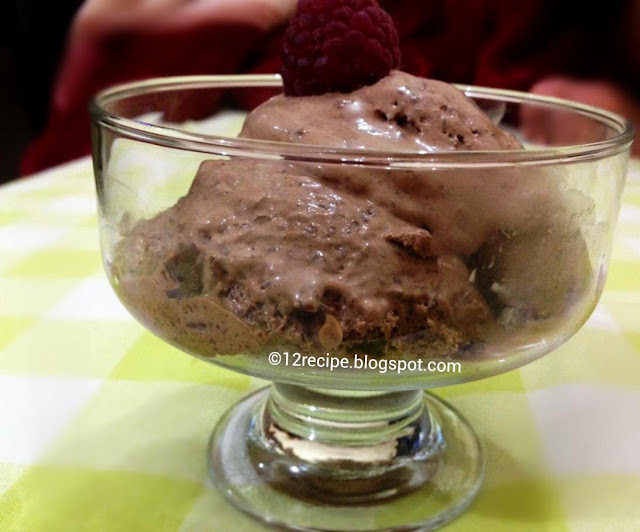 Scoop in to ice cream bowls and enjoy!! !